It’s a sad day in America when a Grammy Award winning Gospel singer, who is African-American, gets uninvited to perform at a civil rights celebration honoring the legacy of Martin Luther King, Jr. because it would “offend” gay activists. But that’s exactly what has happened. Gay activists have successfully hijacked the civil rights movement in America, and last Saturday, held the city of Washington, D.C. and its Mayor Vincent Gray hostage unless ex-gay Donnie McClurklin was uninvited. 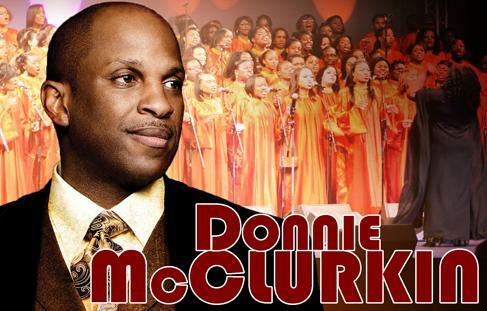 McClurkin was scheduled to headline the concert to celebrate the 50th anniversary of the March on Washington. But gay activists objected because of his public statements opposing homosexuality and ex-gay testimony of being molested by male relatives as a child, living a gay life, and then coming out of homosexuality. “I’ve been through this and have experienced God’s power to change my lifestyle,” he wrote. “I am delivered and I know God can deliver others, too,” commented McClurkin in a 2002 online testimony. 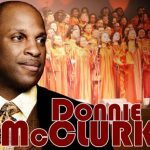 So if McClurkin has full freedom of speech rights and is protected under sexual orientation non-discrimination laws, then Mayor Gray and the Washington, D.C. Arts and Humanities Commission seem to have committed a crime by eliminating McClurkin from the concert due to his statements on homosexuality and his ex-gay orientation. But it was gay activists who threatened to protest and cause dissention at the event due to their intolerance for ex-gays and McClurkin’s views, not ex-gays and Christians protesting against inclusion for lesbian, gay, bisexual, and transgender (LGBT) persons at the MLK Jr. Memorial Concert. It was later reported by The Christian Post that McCluklin’s promoters tried to have his act go on as scheduled and even rallied local D.C. pastors to put pressure on the mayor, but “the mayor’s office systematically and continually shut it down…” claimed McClurkin. Mayor Gray “refused to concede,” even after some pastors advocated on his behalf, McClurkin added. Stand with us and Demand that Mayor Vincent Gray and the Washington, D.C. Commission on Arts and Humanities Apologize For Discriminating Against Grammy-Award Winning Gospel Singer and Ex-Gay Donnie McClurkin and for the D.C. Office of Human Rights to force the Mayor and D.C. Commission on Arts and Humanities to comply with the Mayor’s own anti-discrimination Issuance. Click here to sign the petition. This entry was posted in Uncategorized on 2013-08-13 by VoV Contributor.